Book an appointment with of our Cozmel dentists to get high-quality dental treatment at much lower prices. Depending on what treatment you have you may save thousands, and enjoy the luxury of a holiday while you have your treatment. Find your dentist with Dental Departures and book your appointment online. Visitors traveling to Cozumel for dental treatment can expect to receive high standards of dental care on this popular holiday island, and be spoilt for choice as to what activities to partake in as a post-treatment vacation treat. Steeped in history, ancient artifacts have been found on the island pre-dating even The Maya who first settled in Cozumel in around 1AD. There are a number of ruins on the island – the largest located at the Center of the island in San Gervasio. This place was sacred to the Maya Moon Goddess, Ix Chel, and many pilgrims flocked to its temples, the ruins of which are scattered around the island. Following Spain’s first peaceful visit here in 1518 around 10,000 Maya lived on the island. However, in 1520 infected sea-farers brought smallpox to Cozumel so that by 1570 less than 400 residents were left alive, and by 1650 it was virtually uninhabited as most islanders had fled to the mainland to escape frequent pirate attacks. It wasn’t until almost 200 years later, in 1848, that refugees of the war in Yucatan settled here and the island once more became populated. The waters surrounding Cozumel are teeming with with marine life – the island naturally protecting coral reef communities from the open ocean – and Scuba diving is one of Cozumel’s premier attractions. By far, the majority of businesses on the island are connected in some way to tourism – from the charter fishing and diving companies, to the 300+ restaurants to the souvenir stores selling jewelry, tequila and Cuban cigars. 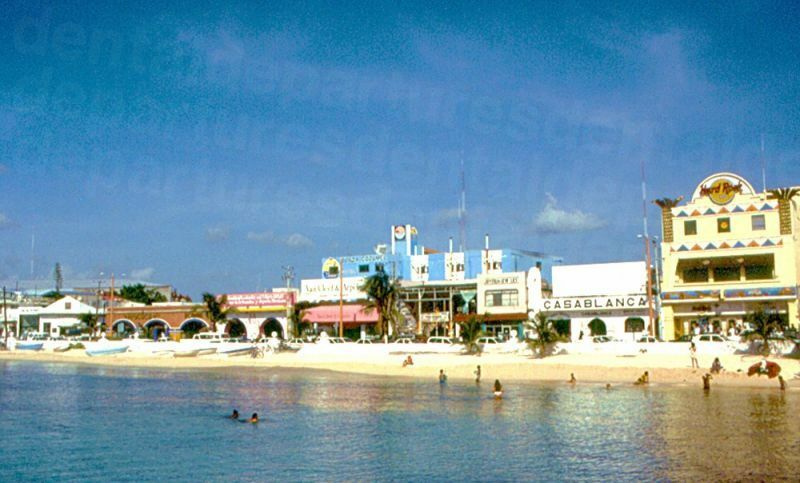 Cozumel’s renowned hospitality and warmth ensures it is an important stop-off point for cruise ships in the Caribbean. 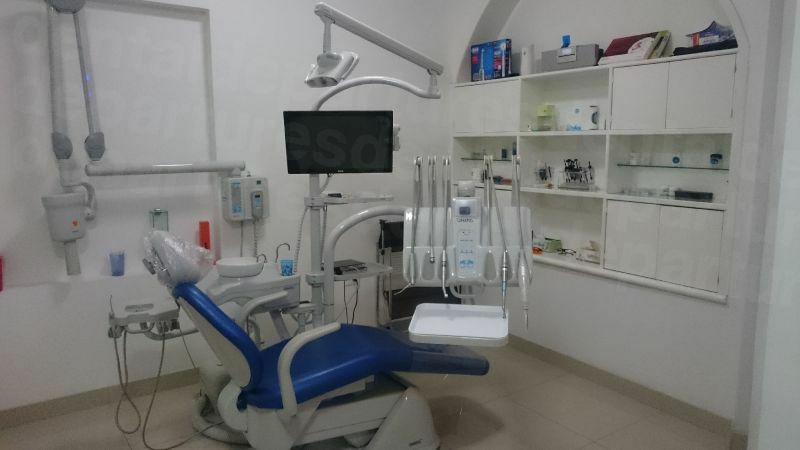 Although Cozumel may not have been as quick off the mark as some other areas in Mexico to welcome overseas dental patients, it is only a matter of time before dental tourism takes off and becomes a primary reason for coming here, rather than visiting for its other attractions. Opposite Mexico’s Play del Carmen off the eastern coast of the Yucatan Peninsula, Cozumel is located in the Caribbean Sea. Only around 30 miles along and 10 miles wide, it lies around 6 miles from the mainland – about a 45 minute ferry ride away. 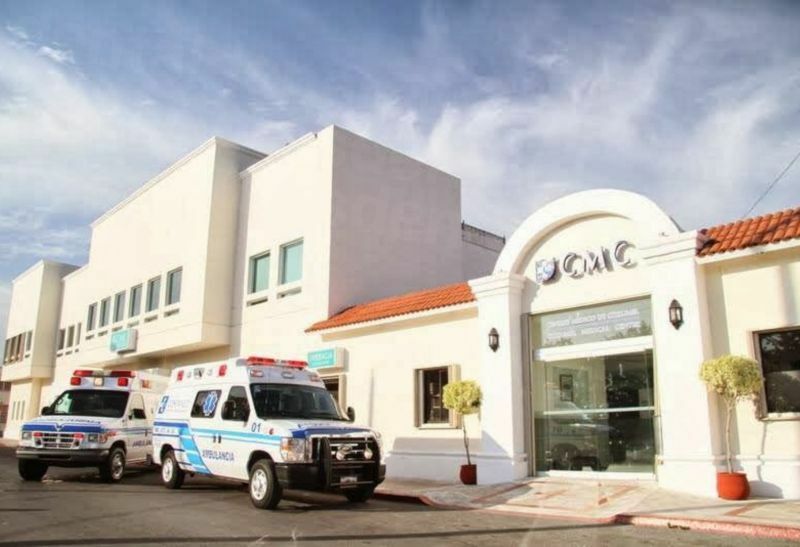 With the quickest flight times from the United States only a few hours duration, it is conveniently accessible for dental patients flying in, either direct to Cozumel International Airport, or to Cancun International on the mainland. 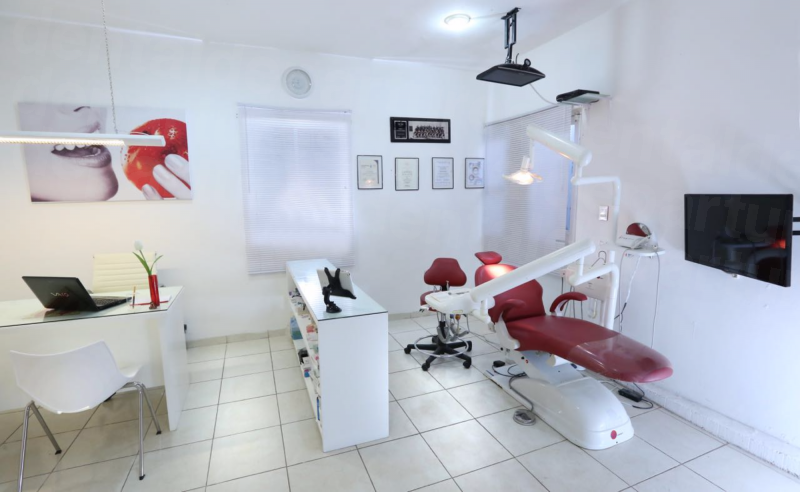 Why visit a dentist in Cozumel? The ability to afford high-quality dentistry in a tropical resort, with a relatively short-travel time, are reasons enough for most to visit. However, the islanders have a long history of welcoming visitors, and all the amenities to make a stay here enjoyable are abundant. For dental patients, being able to enjoy varied conveniences, or just relaxing on the beach in between visits to the dentist is paramount, and so too are the facilities at your chosen dental clinic. Some people are, naturally, wary of receiving dental treatment here, having heard stories of ill-equipped clinics and unqualified dentists. In truth, this is a remnant of a bygone era. Medical and dental tourism in established destinations is a growth area, and that brings with it an increased awareness that providers must react to their clients demands. While patients are traveling overseas to get the treatment they need, they are sophisticated clients who expect standards to be at least as high as they are back home. The response from providers who offer services to overseas patients is to ensure they offer a high-quality experience including qualified dental specialists, state-of-the-art clinics and adherence to international protocols. We see to it that with our background checks all the dentists we work with have a commitment to providing excellent dental services so our patients can be sure they are seeing a quality-checked dentist at all times. As you would expect, Cozumel offers visitors numerous accommodation options from which to choose, including budget Bed and Breakfast rooms up to 5* hotels costing less than $100 a night. Discounted hotel rates are also offered by some our dental clinics which may be arranged through your appointment with Dental Departures. Yes. The US government’s recent update has issued no travel advisory for Cozumel or any or the surrounding areas on the mainland such as Quintana Roo and Yucatan. 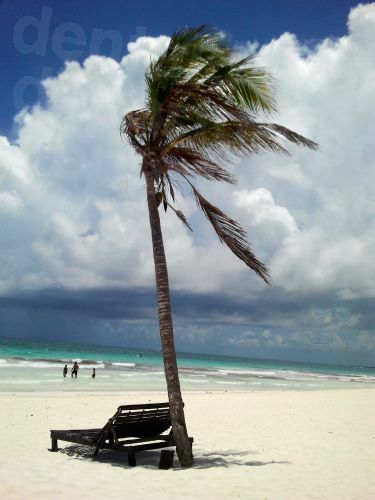 Travel to other resorts and tourist attractions in these areas, including Cancun, Playa del Carmen, Riviera Maya, Tulum, Merida and Chichen Itza are all perfectly safe to travel to. The quality of care will be as good as it is at home providing you have your treatment in a reputable clinic. By booking through Dental Departures you are not only assured of a quality-checked dentist but you can be confident that the clinics are modern, up-to-date and use new equipment. We have visited all our clinics and we only list those we would be happy having treatment in ourselves. Most of our clinics have photos available on our site, so you can get a pretty good feel for the clinic from these before you book. Dentist training in Mexico, particularly for those treating overseas patients, is now on a par with dentist training throughout the Western world. 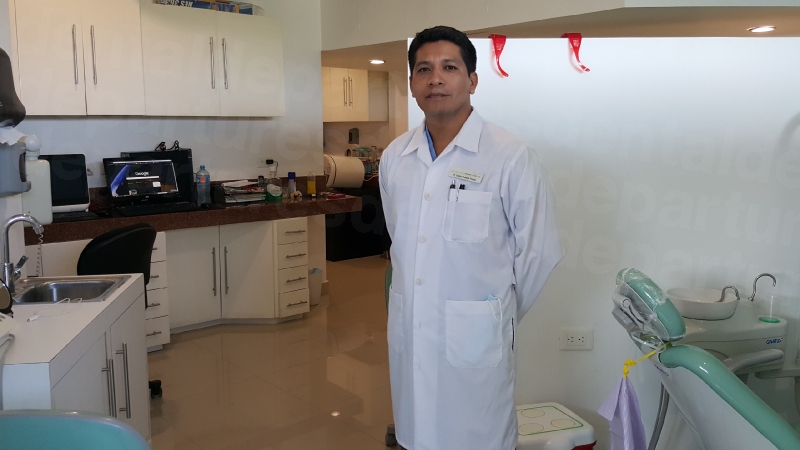 We have dentists in Cozumel who are members of not just the Mexican dentists professional organization, but also the American dentists professional body too, ensuring they must adhere to the same professional standards as dentists at home do. 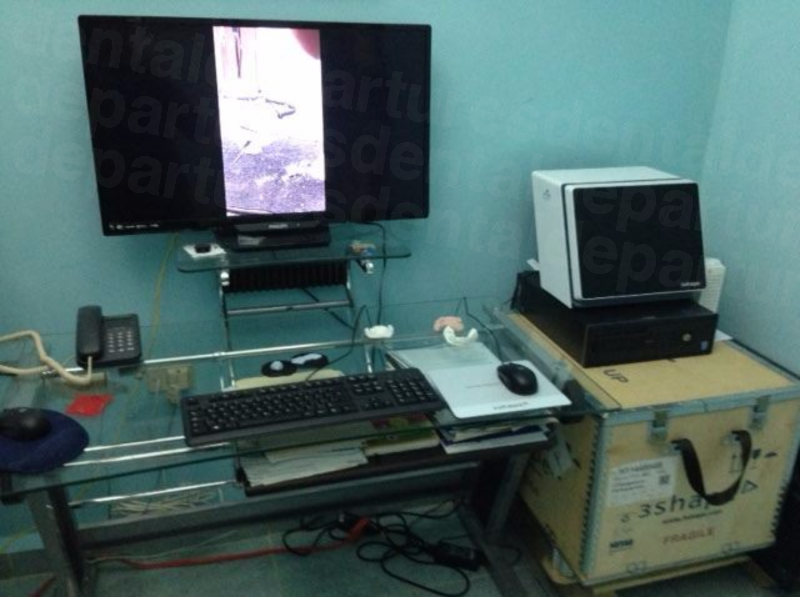 Our clinics all provide guarantees or warranties on their work, including any lab work as well as the actual procedures. With our quality checks we do our utmost to ensure that everything is in place for your treatment to go by without a hitch. Unfortunately, in a very tiny minority, things will sometimes go wrong, even if no-one is at fault as no medical or dental procedure can be guaranteed 100%. In the uncommon event that there are any problems (and less than 0.01% of our patients do experience any difficulties), or you have any questions, contact us and we will make sure you get taken care of to get the problem put right. No. Many of our dentists have been trained in the US and English is not a problem for them. Obviously being able to speak a little of the language will always be welcomed by the locals. However, Cozumel has been receiving English-speaking visitors from all the globe for quite some time and so you will have no difficult getting by just speaking English. Most dental clinics prefer to be paid in US cash. Many also accept credit/debit cards, traveler’s checks and personal checks, but it is best to check with each office as to what payment methods they accept. Credit card payments may also be subject to 3-4% processing fee. Dental clinics are unable to bill your insurance company directly, but you can check with your insurance company to see if they will reimburse you for out-of-network care. If they do you will be able to claim your treatment expenses when you get back home. Make sure to find out from your insurance provider what documents or forms you will need to take with you for completion by your dentist overseas. Cozumel’s temperatures tend to have little variation and remain fairly stable all year round, making it a good choice for dental treatment whatever time of year you decide to go. December to February are deemed to be the coolest months with averages of 23C (73F) with September and October being the wettest months. Peak times tend to be centered round festivals or holidays, including Christmas, Day of the Dead in November, Independence from Spain Day in October and Carnival in February. During these times it is as well to book well in advance for accommodation and dental treatment. Is the city handicapped accessible? Although there are ramps that go from the sidewalk to the street for the many cyclists the sidewalks tend to be very uneven, making them problematical for wheelchair users, who prefer to wheel down the edge of the street instead. If you are with somebody you should be able to get around and the locals are very accommodating, whether it is getting in and out of taxis or to help you with activities such as snorkeling, or diving. The weather can be rather unpredictable, given that it is a small island surrounded by water. This means that the rainy season may not always be rainy and that unpredictable showers can happen at any time of year. Also,Cozumel, like the rest of theCaribbean, may be susceptible to hurricanes during the hurricane season in the fall, although this makes prices much cheaper and it is not very crowded. You should also be aware that the use of gas (nitrous oxide) sedation is not offered as standard for dental treatment here, like it is in the US and Canada. 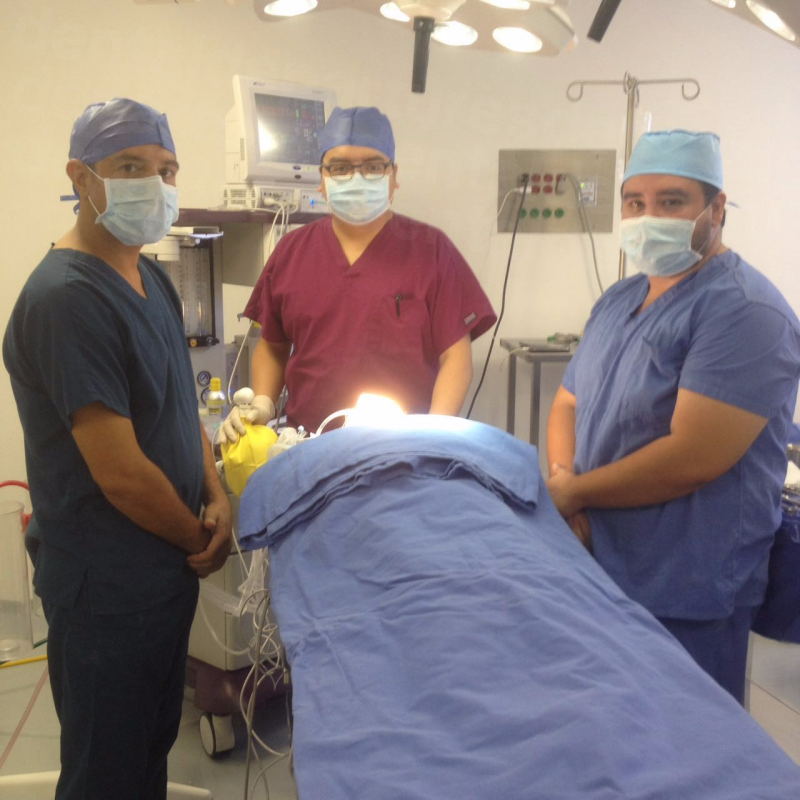 Generally, local anesthetic, which numbs the area to be treated, is used. If you require full sedation this requires a licensed anesthesiologist, which is a service some clinics provide at an additional $400-$600. Please contact us to enquire about clinics offering this service, or if or if you require anxiety medication, such as Valium, which will need to be requested before your visit. A lot of visitors travel to Cozumel to explore its reefs and underwater life, but if that isn’t your thing there is considerably more on the island for dental and other tourists to avail themselves of. The main dive operations and main town, San Miguel, are based on the west side of the island. However, head out to the under-developed east for big waves and beautiful beaches (but beware of undercurrents on this side making swimming dangerous). You’ll still find fantastic restaurants on the beaches, but may have a good 20 minute walk between each one. Several other Maya archaeological sites aside from the one in San Gervaiso are worth a visit. One located near the village of El Cedral, and at the southern tip of the island the El Caracol temple, believed to have been a Mayan lighthouse are easy to get to. There is no shortage of places to eat, with over 300 restaurants on the island, and in down town Cozumel there are bars, cinemas, discos and a fixed stage in the main plaza where locals and tourists alike gather on Sunday evenings to dance the night away. 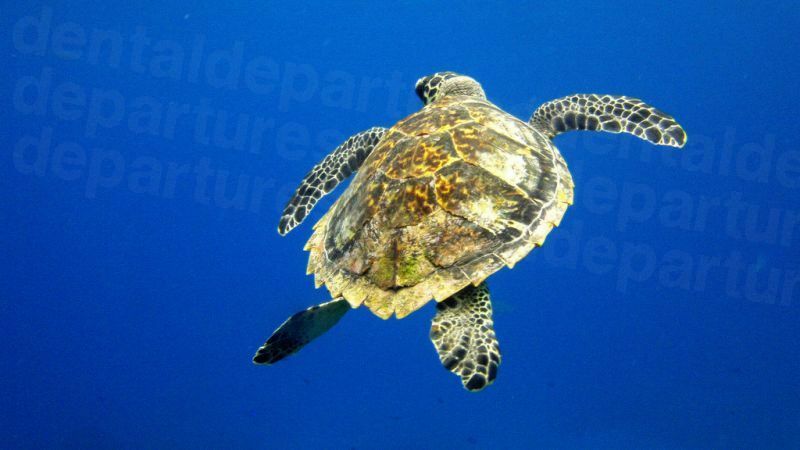 There are many endemic animal species on the island, two dolphinariums, a tourist submarine, water parks and other activities include kitesurfing and para-sailing. Cozumel International Airport (CZM) receives direct flights from a number of US and Canadian cities. Cancun (CUN) is an alternative which generally has more flights and is about an hours drive away from Playa del Carmen where you can pick up the ferry to Cozumel. There are hourly ferries to Cozumel from Calica, just south of Playa del Carmen, but rental cars are not allowed on the ferry. Walk, take a taxi or rent a scooter, motorcycle or car. It is worth noting that vehicle hire prices posted are not necessarily the price you will pay if you are prepared to bargain, and if you speak Spanish you will usually be able to get an even better price. 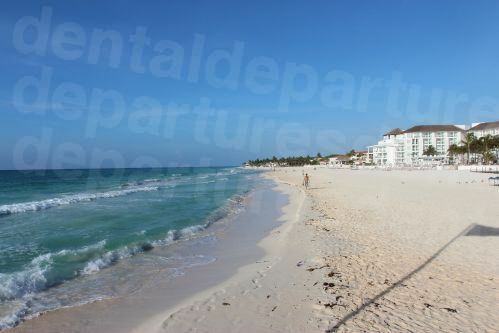 Distances are to Playa del Carmen on the mainland and entail an additional 45 minute ferry crossing. How do I book an appointment with a Cozumel dentist? Find your dentist on or website, compare prices, read reviews, check-out clinic photos and book online. 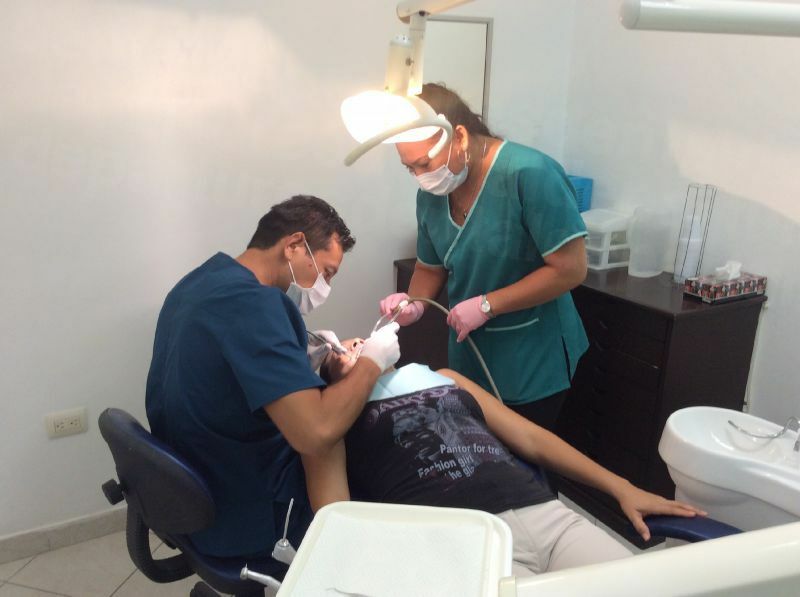 Our dentists in Cozumel are quality-checked and provide a service you can trust. Book with us and get the lowest prices available - guaranteed.